Philip R. Zitko, O.D., has been an associate of the Ohio Eye team since 2015, after 23 years in private practice. His undergraduate work was accomplished at Bowling Green State University where he earned a Bachelor of Science degree in pre-Optometry. He then attended The Ohio State University and earned his Doctor of Optometry degree in 1991. Dr. Zitko is a member of the American Optometric Association and the Ohio Optometric Association where he previously served as The Zone 1 Governor. 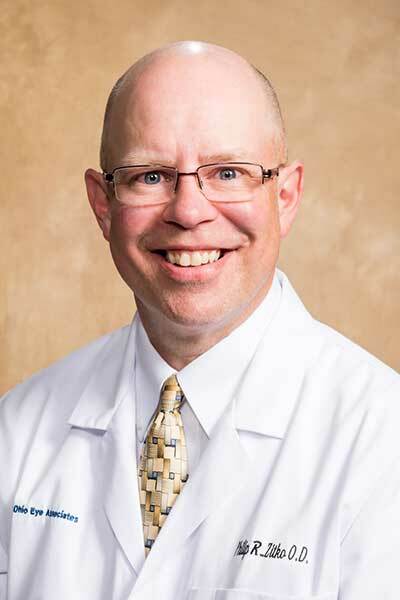 He has been actively serving on boards and committees in Shelby and Richland County throughout his practice life, including the MedCentral Board, Shelby Memorial Hospital Board, Shelby Home and Public Health and the Rotary Club. He has been a Real Eyes presenter to elementary school children and participates in the Vision USA program. Dr. Zitko has enjoyed serving the vision care needs of patients in North Central Ohio and will continue to do so in both Shelby and Plymouth. He is married to Dr. Patricia Zitko whom he met while attending The Ohio State University. They reside in Shelby and have two sons and one daughter.